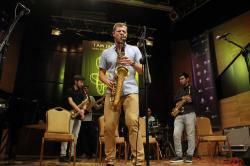 Baku International Jazz Festival continues to surprise the thousands of attendees who have come to enjoy countless hours of the best jazz music. The festival gathers talents from all over the world in Baku. 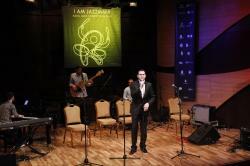 International contest of young performers "I am Jazzman!" was held on October 15-18 as part of the music festival. 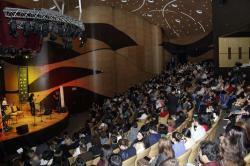 A gala concert of the contestants was held at International Mugham Center on October 18, Trend Life reported. During the concert program, musicians and singers performed compositions from the repertoire of famous jazz musicians, as well as presented improvisations of popular songs in rock pop genres. The concert has grown beyond all expectations. Despite their young age, artists demonstrated thrilling performance. The names of the contest winners were announced. 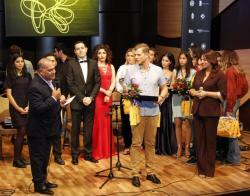 Azerbaijan's representatives at the contest took the first three places among vocalists. According to the decision of the jury, Leyla Izzatova won the first place, Yusif Gasimov became the second, and Alina Pyaksheva was the third. Among musicians, the first place was taken by Aydin Zeydullayev (Azerbaijan), the second - by Andrey Konstantinov (Russia), while Ki Hong Jang (U.S.) ranked third. The ensemble of Children's Culture House in Sumqait and the youngest participant of the competition, Amina Hajiyeva, were awarded diplomas of the competition. 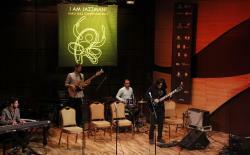 At the end of the evening, the director of the Baku International Jazz Festival, Leyla Efendiyeva, stressed that "I am jazzman!" plays an important role in the live of new musicians, many of whom appear for the first time in front of a large audience. Leyla Efendiyeva thanked all the participants and wished them success. The French band Trio Initiatives will perform at Rotunda Jazz Club on October 20. The Swedish band "Music, Music, Music" (October 21) will delight you with superb performance.